Jasmine came to our house with several toys of her own, but when she first got here, she latched onto this... an owl toy that had long been de-stuffed and de-squeaked. By me. Exhibit A: Dirty, smelly, ripped up owl. Now, the human should have thrown this toy out long ago. But instead, she left it in our toy basket, where Jasmine found it. It was one of her first "new" toys in her new home. Exhibit B: Jasmine with the owl in July 2014. Picture posted to Facebook. All this happened in 2014. The human has several pictures of Jasmine with this owl posted on Facebook, HERE, HERE and HERE. Now since then the human had ample time to get rid of the dirty, stinky, shredded owl. She didn't. She claims she did, but as the owl turned up in May 2018 once again, clearly she did not. "Please don't take my friend away, Mom." This time the human was determined to get rid of the toy, much to Jasmine's distress. Jasmine has since found other toys she loves -- her Einstein, for instance, or those silly white puff balls. But she keeps coming back to the owl. We've had some storms and rain the last few weeks, so clearly Jasmine has been looking for something comforting while the human is not home. The owl is keeping Jasmine company elsewhere in the home. Furthermore, the human could always try to wash the owl, rather than try to throw it away. 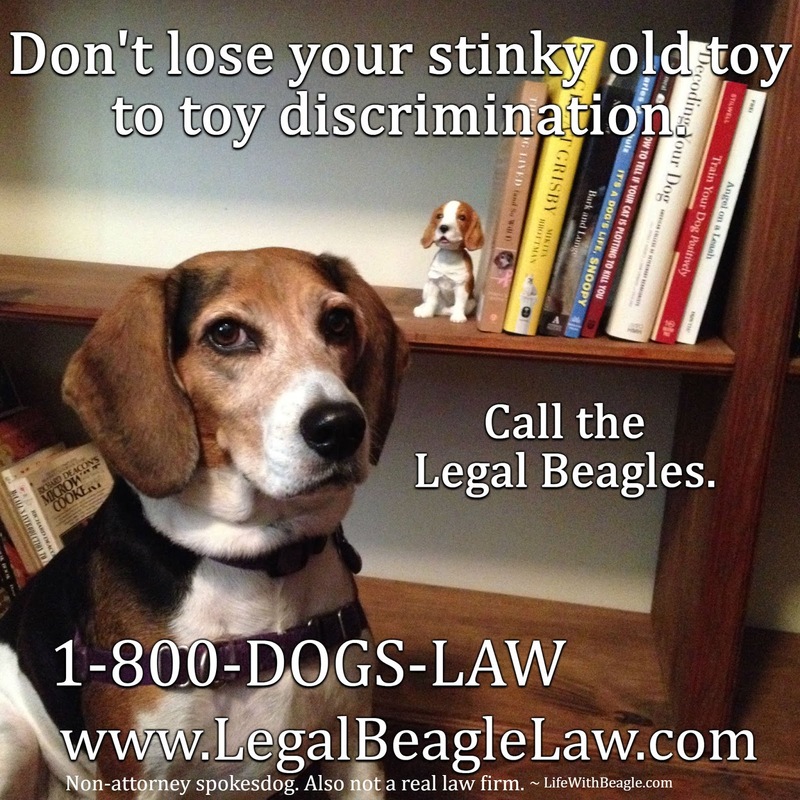 Here's a story on cleaning dog toys. 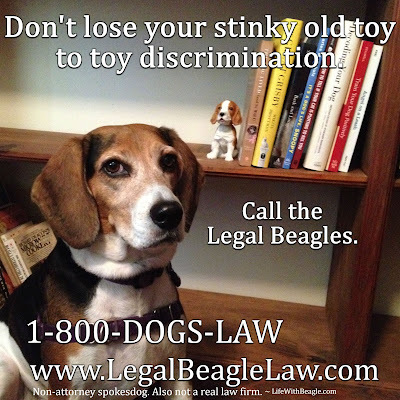 Given the clear evidence of dog toy prejudice and harassment, we agreed to take the case for our client, and we have won. The owl is still here with us and the human will endeavour to clean it. 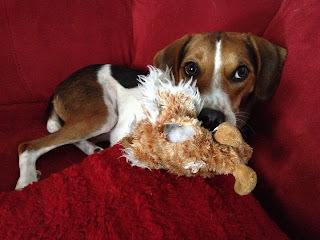 If you have a toy you love more than any other, don't let the human take it from you. old toys are the best toys. UPDATE: The human intends to appeal this decision... as soon as she figures out where to do that.